He was educated at Trinity College, Dublin, and studied Creative Writing at the University of East Anglia, where he was awarded the Curtis Brown prize. But it was during his time at Trinity that he began to get published. To pay his way at that stage of his career, he worked at Waterstone's, typing up his drafts by night. 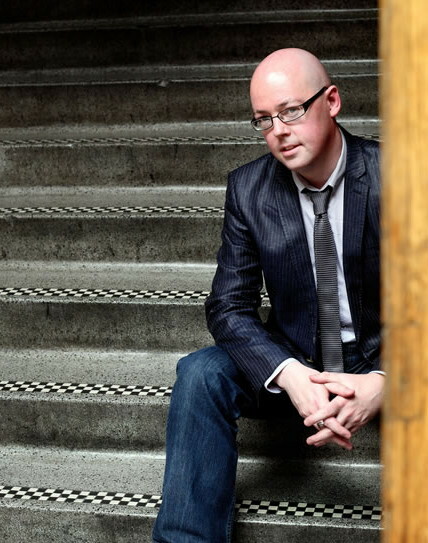 John Boyne is the author of six novels, as well as a number of short stories which have been published in various anthologies and broadcast on radio and television. His novels are published in 39 languages.The Boy in the Striped Pyjamas, which to date has sold more than 4 million copies worldwide, is a #1 New York Times Bestseller and a film adaptation was released in September 2008. Boyne resides in Dublin. 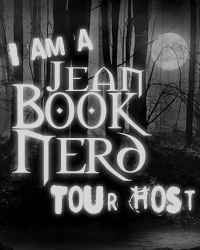 He is represented by the literary agent Simon Trewin at United Agents in London, United Kingdom. No. The truth is that I can’t remember a moment when I didn’t want to be a writer. From childhood, I loved books, I loved stories and I loved writing my own. I filled copybook after copybook with new stories for characters from books I enjoyed – all completely breaking copyright laws, of course! – and even at a very young age my goal was to one day have a novel published. As a teenager I began taking this more seriously, writing hundreds of short stories, sending many of them out and when I started to get some published towards the end of my teens I really began to believe that it was possible that I could achieve my goal. My schooldays were not particularly happy ones. I grew up in Dublin, in quite a posh rugby-focussed school. The school year was built around an annual inter-schools football tournament and the only important students in the school were those who played on the rugby team. Facilities which should have been open to all pupils were often only available to the rugby players. There was a real lack of interest in anyone who was studious or who liked books or who wanted to learn. The greatest thing I learned there was that anyone who says that schooldays are the happiest days of your lives has lived a very unfortunate life afterwards. When I was a student on the creative writing course at the University of East Anglia in ‘94/’95, I was taught by the novelist Malcolm Bradbury. He told us that we should write every single day, 365 days a year, even Christmas Day. That whatever we were working on would only get finished by writing, writing, writing. I followed this advice and it is quite rare that I spend a day without committing at least a few paragraphs to page. I think a lack of self-consciousness is important. Feeling that one can try different styles, different types of writing without everything having to be perfect. As a young writer, there is no chance that everything you write will be published so it’s worth experimenting. I was 28 when I found my own particular voice and style, when I was writing my first novel The Thief of Time and when I captured it, I just knew that I had. In your newest book, The Terrible Thing That Happened To Barnaby Brocket; can you tell my Book Nerd community a little about the novel? About a month ago, when I found out that a young person, quite close to me, was very ill. Fortunately that story seems to have had a happy resolution. Barnaby Brocket is an ordinary 8-year-old boy in most ways, but he was born different in one important way: he floats. Unlike everyone else, Barnaby does not obey the law of gravity. His parents, who have a horror of being noticed, want desperately for Barnaby to be normal, but he can't help who he is. And when the unthinkable happens, Barnaby finds himself on a journey that takes him all over the world. From Brazil to New York, Canada to Ireland, and even to space, the floating boy meets all sorts of different people--and discovers who he really is along the way. John Boyne’s heart-warming tale in The Terrible Thing that Happened to Barnaby Brocket, is a story about a boy who accepts his differences and celebrates them. He is one of those rare fictional characters that truly speaks from the heart. The book proves that a story does not need guns or violence to tell an adventure. Barnaby’s peculiar gravity-defying journey shows his appreciation towards his differences rather than changing to fit it with the majority, is an incredibly charming way to convey a message to young readers that can easily be embedded in their minds. The character Barnaby Brocket can easily relate to readers. Although he is very different that the rest of us, he is still “normal” with the same problems eight-year olds go through. John truly captures the inner workings of an eight-year old’s mind and stops at nothing at bringing credibility towards his character’s personalities. John’s extraordinary tale of Barnaby is unlike anything I have read before. Considering that he excels in producing stories that will appeal to both children and adults, he is truly one of the major players in the writing world. The way he puts his message across is just brilliant. John reminds us that even people who are regarded as freaks have the same human feelings as us. The message is conveyed beautifully, thanks to the John’s extraordinarily show. Thank you JOHN BOYNE for making this giveaway possible. 1 Winner will receive a copy of The Terrible Thing That Happened To Barnaby Brocket by John Boyne. Thanks for this awesome interview. Boyne is a great author! My best friends, just recently! My parents, just last night! Thank you for the giveaway! My mum :) Thank youz for the amazing interview! I can't remember LOL how terrible! TY for the giveaway! My best friends and other close friends. It's because I'll be moving out of my city for hostel cuz I'll be going to uni in just a few days. So I'll probably see them after quite a while. My hubby! Thanks for the giveaway! My mother :)...she is so sweet! each of my kids! ;0) Its bed time!